These days, rubber wristbands are all the rage. This year, at the end of the school year, each Eatyourradio student reporter can received a wristbands, in Eatyourradio cool colors of blue-green with bright yellow print. 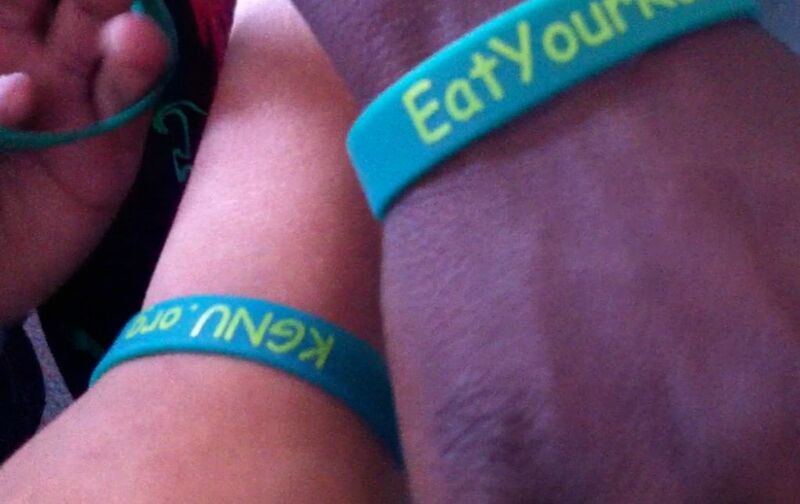 The wristbands say: KGNU – EatYourRadio.org. They’re a fun way to remember a year of stories about health, and they’re a great reminder about where kids and their families can go, on the web, for more stories about Eat Your Radio.